Yuma Hattori became the first Japanese man to claim first place in the Fukuoka Marathon since 2004, as he won the race this morning in 2:07:27, a two-minute improvement of his old personal best. Ethiopian Yemane Tsegay (2:08:54) and Eritrea’s Amanuel Mesel (2:09:45) claimed the two other spots on the podium. 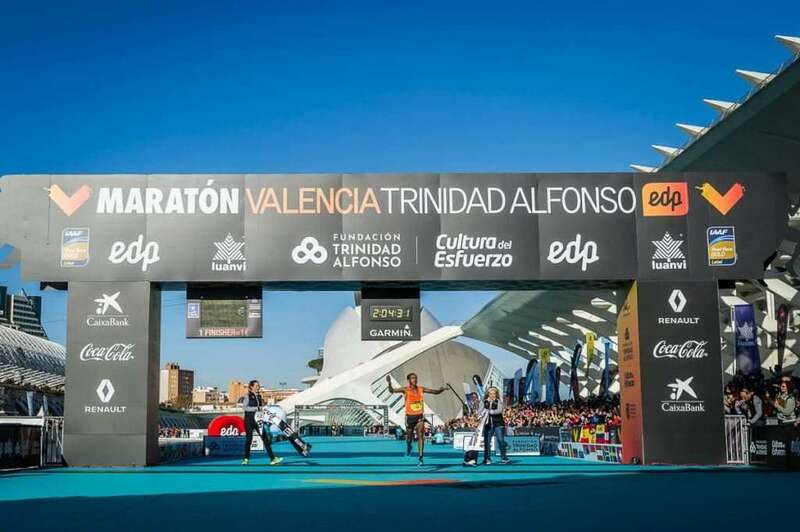 In Spain, it was Ethiopian Ashete Dido who won the female race with a new course record finishing time of 2:21:14, after catching up to and passing runner-up Cheromei from Kenya just after the 37-kilometre mark. Weldegebril from Ethiopia took the last spot on the podium in the women’s race. Ethiopia claimed top honours in the men’s race as well, with Leule Gebrselassie set a new record on Spanish soil with the time 2:04:30. Both second and third place came in under 2:05, with El Hassan El Abbassi of Bahrain with a setting a new Asian record finishing second with 2:04:43, and Matthew Kisorio of Kenya coming third with 2:04:53. For the better part of the race, Matt Llano was in total control of the California International Marathon, which doubled as the US Marathon Championships this year, and he looked capable of beating his 2:12:28 personal best. Towards the end, however, Llano started to struggle. Brogan Austin put down a magnificent end to the race, and surpassed Llano and claimed the US Championship Title with the finishing time 2:12:38, ahead of Llano (2:12:59) and John Izewski (2:13:14). In the women’s race, there were no such upsets. Emma Bates took charge of the race from the start, and convincingly claimed the win with a time of 2:28:18. Steph Bruce claimed second place with a 15-second personal best, with an impressive finish time of 2:29:20 quite quickly after competing in the New York Marathon. Sam Roecker rounded out the podium with third place in 2:30:23.